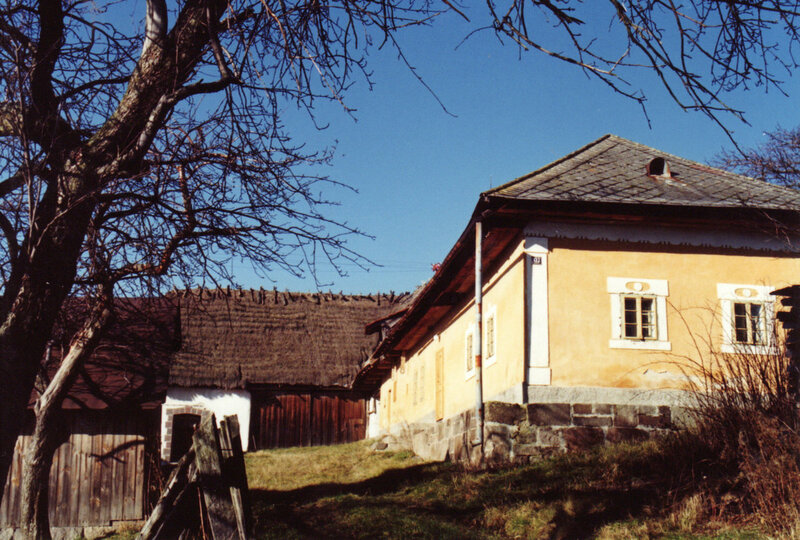 Sekier is a settlement situated in a Zajezova hamlet perhaps 15 kilometres from Zvolen. How many years of history can be documented from this farmstead? It’s from a time when people typically inscribed the year of a house’s foundation, mainly on a ceiling beam. It’s the one you see when you sit at the dinner table. On it is inscribed “This home was built by Jano Toncik with his wife in the year of our Lord 1864”. 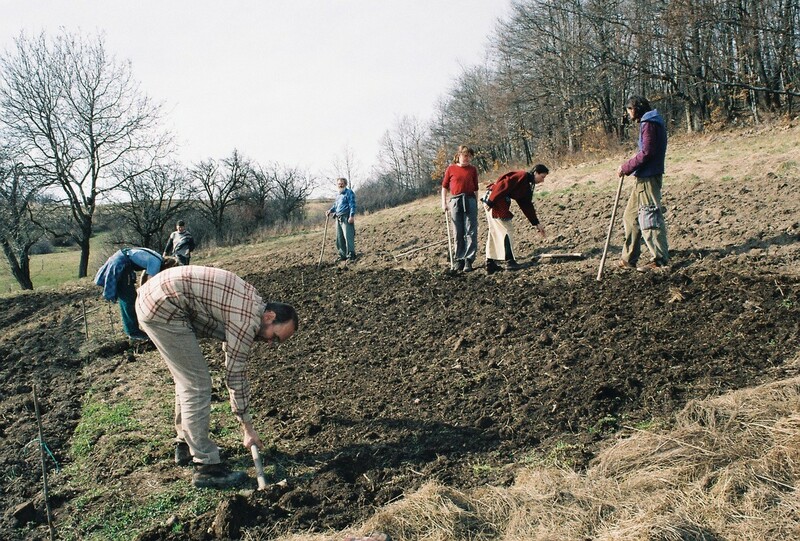 15 years ago the Organisation for Harmonious Living (PHZ), the citizens’ association which works in Zajezova, decided to buy this farmstead. Why? Handcraft workshops that were organised in Zajezova by the School of Folk Culture (SLK) and Tree of Life youth organization attracted many active young people here. Between them forged a group that perceived handcrafts and traditional culture as an inspiration for their efforts to live more simply and closer to nature. They tried to find how life on a hamlet really functions in the long-term and founded their own citizens’ association, PHZ. They bought the Sekier farmstead as a space where they could self-realise. How many people have passed through Sekier? How long did they stay? During the first 15 years over 70 people lived there for over three months and a total of, I’m guessing, about 2000 people. Our goal, however, isn’t quantity but quality. Therefore we prefer guests who stay more than a week and ideally we have young people that stay over a year. The problem with Sekier is the limited privacy, and that naturally the most responsibility lies on those who have been there longer. People with time “burn out” and move on. How big is the community and average age on Sekier? The number of Sekierchans (translator: slang for Sekier residents) – it happens that there were a few months with only one resident, but in other times there lived over ten. Currently on Sekier there are five young people for a longer-term – three of which through the EVS service. Most often they are between 20 and 30. What motivates people to come to live at Sekier? How is the benefit of this project for your organisation? 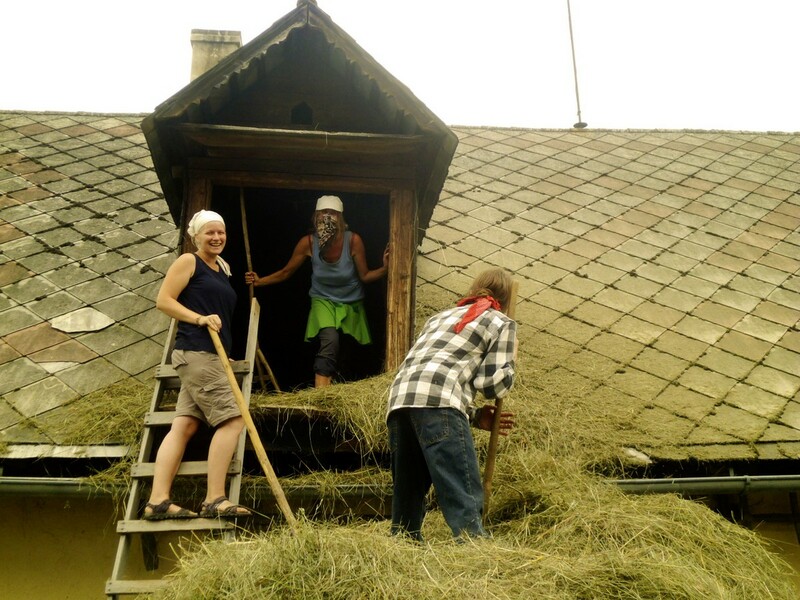 We present Sekier as a place for volunteers who want to help for our general projects: the reconstruction of traditional homes; construction with natural materials; organisation of festivals, camps and workshops; and activities with local children. 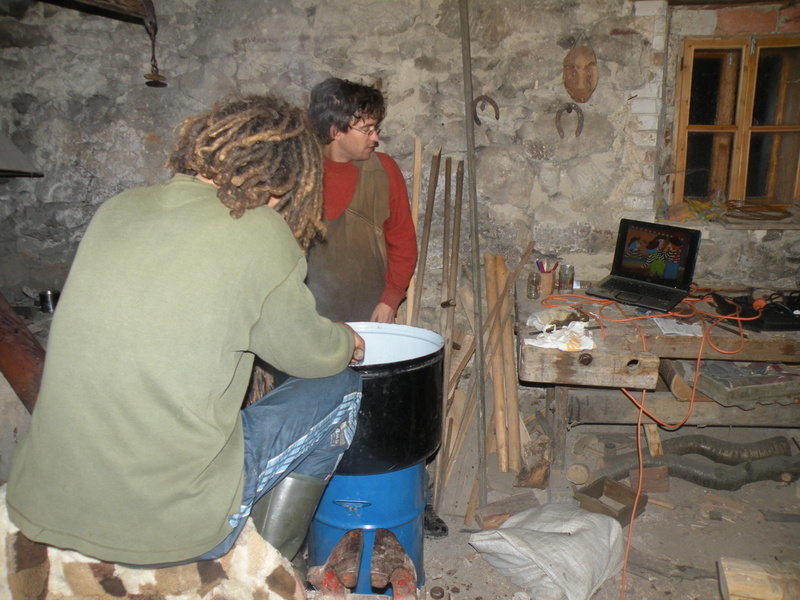 On the outside it would seem that people especially learn practical things like how to plaster with clay, cultivate cabbage without chemicals or milk a goat. In reality though, with frequent contact with Sekierchans I know that the most significant contribution for people who stay longer is something that I’d call “ripening”. Young people here change – Sekier gives them a mirror on themselves which works with what it sees. People arrive here from different countries. Can you speak about multicultural society? From a certain period foreign residents have dominated Sekier. It’s happened that there was no one there from Slovakia, or from Czechia, who rather expected something in the style of a living folk museum. Sekierchans usually communicate in English, and most foreigners with time manage quite well in Slovakian. What’s interesting is how the multicultural atmosphere hasn’t changed the “spirit of the place” – the way that Sekier forms people. Life in such a community requires large doses of tolerance and patience. Don’t the residents sometimes develop a sort of claustrophobia from each other? A whole book could be written on the subject – psychologists would take up the most interesting material here J But seriously – Sekier sometimes attracts also strange people which aren’t in the least prepared for life in the community. For others who live there, this can be exhausting. To the extent that it doesn’t overburden them, it’s for them the best school of life. On the other hand, normal, positive, in tune people who arrive there usually get on well and Sekier is a place for them to create friendships persisting long after they leave Zajezova. How does life look there at the farmstead? Does there exist certain rules or obligations? With time we developed rules in which we try to tune our needs and expectations of people that come. Residents and guests at Sekier should spend roughly half their work-time helping with our projects, which usually means work away from Sekier. The rest of the time they care for Sekier and themselves – work in the garden, preparing the firewood, taking turns with cooking and cleaning, caring for the goats and the like. We require roughly five to six hours of work daily. Can it be said that food or economic self-sufficiency is achieved at Sekier? We can’t say that Sekier grows it’s food supply. People who arrive are only learning how to care for the garden or animals and don’t have anyone there permanently. I guess that Sekierchans prepare one-fourth of their food, which isn’t at all bad, when we compare with most of society. It’s a different question with economic self-sufficiency. Residents pay a rent which covers expenses and home maintenance. Financial needs for food, insurance and personal needs residents cover by work. Most importantly, however, is that the needs at Sekier are sharply low: it’s usually enough to earn 50-100 Euro a month. 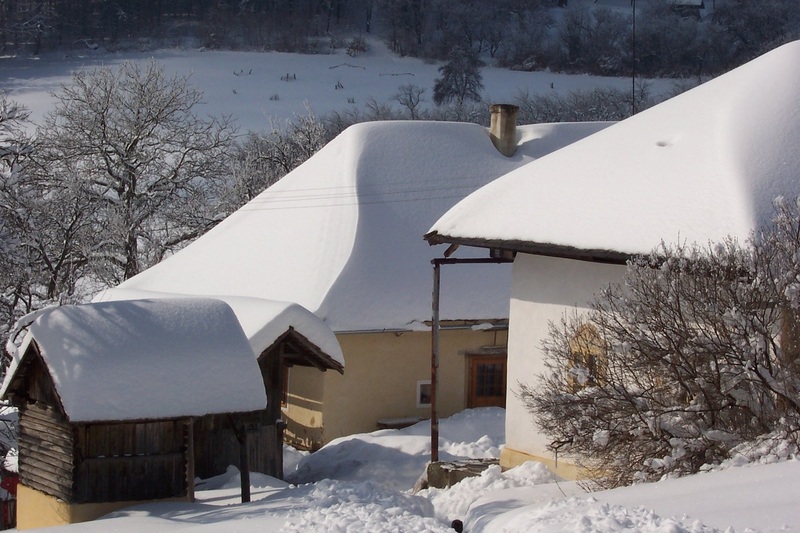 Sekier is economically self-sufficient, but concerning operations with investment in the development of public projects in Zajezova, we must look for grants from foundations. To us, people in PHZ, who dedicated no small amount of energy to Sekier, it’s important to fully utilize the potential of the place. There is many a cottage where a person can sew and completely ignore the whole world – Sekier should be something else. 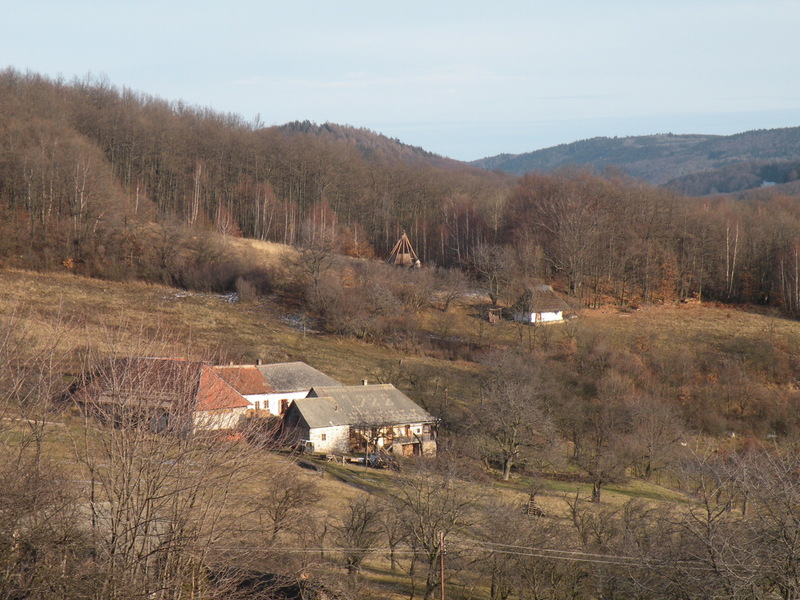 It’s a place that is rarely seen in Slovakia, especially with its connection with the wider Zajezova community. It is a mutually beneficial contribution. Currently we have in Zajezova many activities running where help is needed and we must consider effectiveness. For that reason we don’t guard Sekier in old technology – sometimes they even find this encouraging. On the other hand, we don’t wish to pointlessly spoil the charm of the place, therefore we carefully work with newer technical possibilities. Most decisions of this type, though, we leave to the people living there – to the degree that they fulfill our expectations and don’t do senseless work. Last year a team functioned there which didn’t use electricity for a few months; now the people there have a notebook with internet and began their own blog. Every “generation” of Sekierchans is different. You lived for a certain period (how long?) on Sekier. What did you bring from that experience? I lived in Sekier in the period from the beginning of 1996 to Spring 2001. The 2nd half of that time I was there only “part-time”, adding up to about 3.5 years. That experience brought me above all my wife J. I lived through many experiences beyond evaluation, however sometimes in my heart was the code “what doesn’t kill you makes you stronger”. My ideals survived the test of fire, also in different forms than in the beginning. How is the door open in the community for those who wish to try this life? All necessary information for those interested in voluntary stay can be found at www.zajezka.sk in the “About Sekier” section. The door is open for all who manage to tune in with those in the community. It’s not a hiding place for those wishing to escape from civilization, or live alone. We expect people to arrive here with positive motivation: people who want to learn something and connect to our activities and the beauty of this place. If you are 18 till 30 years old and resident of EU, you have the opportunity to participate in a unique learning experience! Prezentation of Zaježka - its development, most important local projects and possibilities for guests.